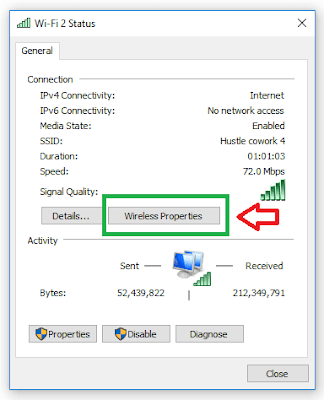 If you are using a WiFi network in your office or at your friend's home. Suppose, the WiFi password is already saved by your friend or network administrator in your laptop or in other device and if you want to find that WiFi password then go-through the following easy steps and get the WiFi password. 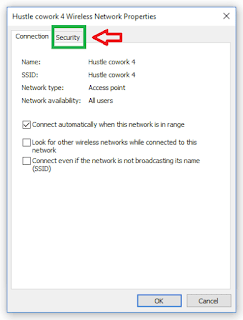 There may be a lot of reasons to know the saved WiFi password for a network you're currently connected or you have connected in the past. 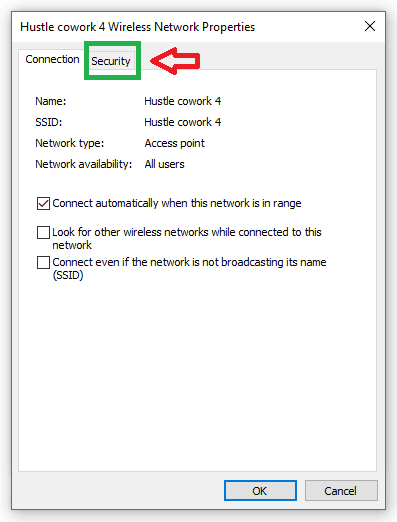 Right-click the network icon on the task bar and select "Open Network & Internet Settings". 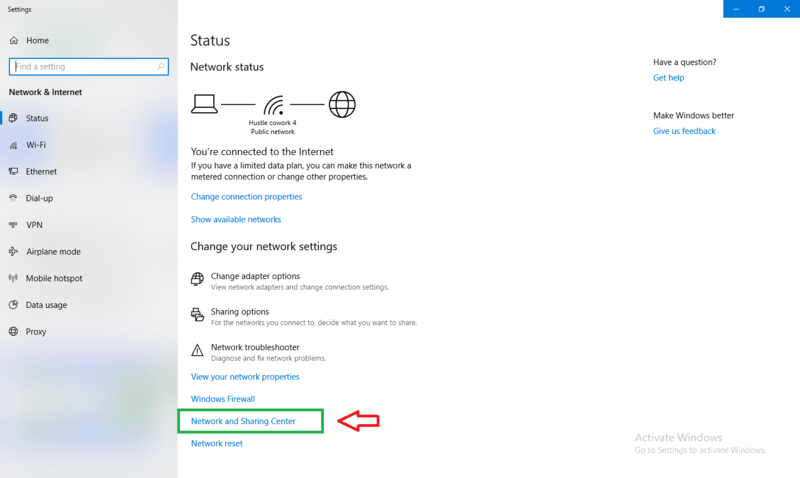 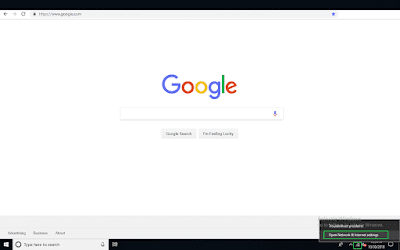 Once you clicked on "Open Network & Internet Settings" you will the Network status window and in the bottom you will find "Network and Sharing Center" and click on that. Once you clicked on "Network and Sharing Center" you will see the active WiFi connection. 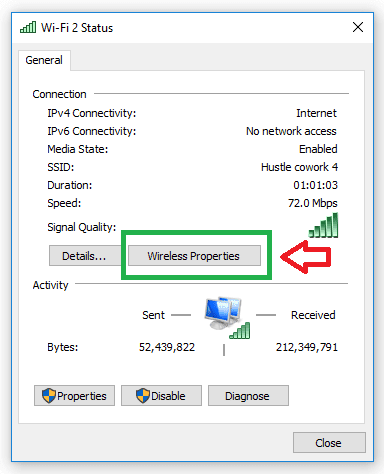 Click on Wireless Properties to open WiFi network properties. 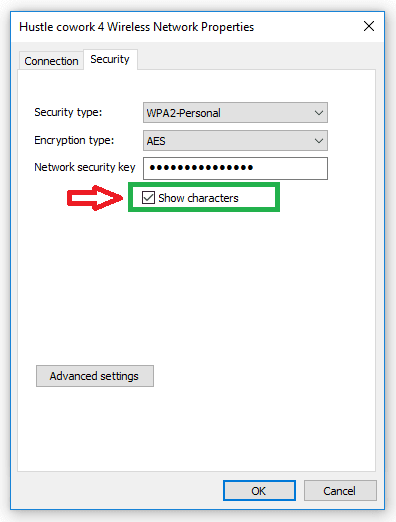 Click on show characters to view the saved WiFi password in Windows 10. 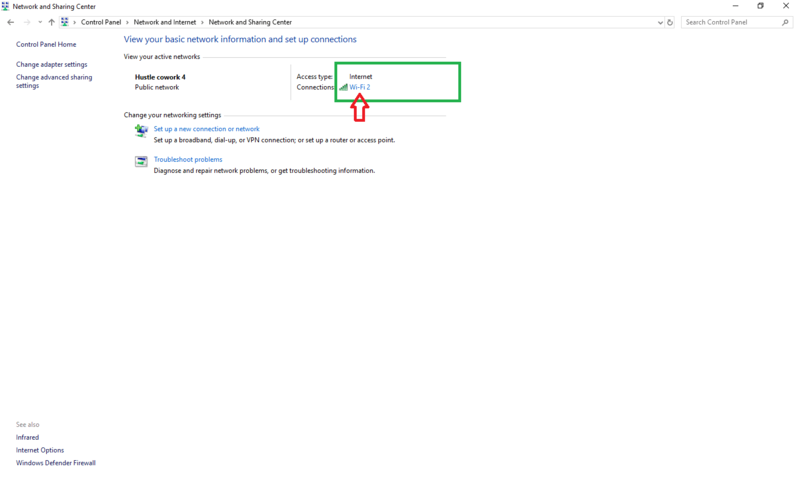 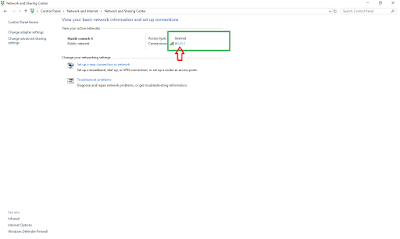 Click on the "Network and Internet" and then click on "Network and Sharing Center"
Go to Security tab and click on Show characters to find saved WiFi password (Network security key) on Windows 10.